I’m fascinated by creatures who navigate the world with a collective, rather than individual, intelligence. 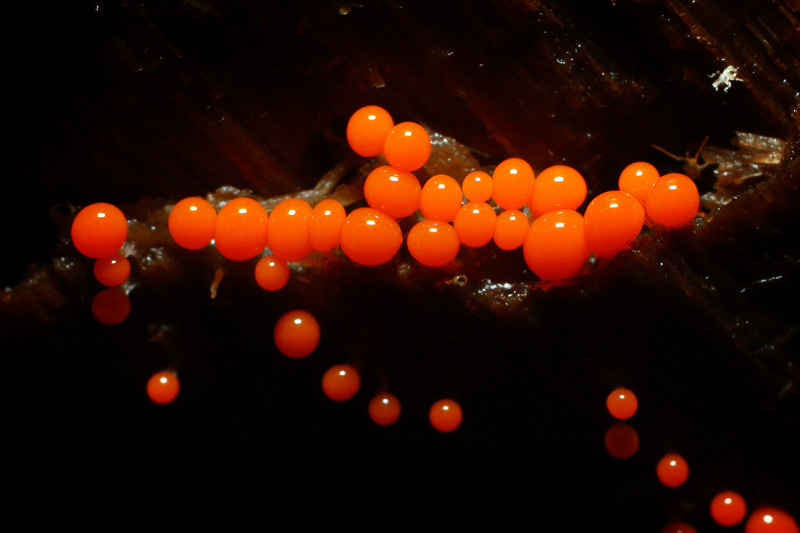 Slime molds are social amoebas, slithering in somewhere between being a plant and an animal. Like ants, a slime mold will send out scouts from the larger body to hunt for food, then use pheromones to relay information back. This primitive form of intelligence is effective enough that the organism can find the shortest way to food through a maze. And beyond that, they can be absolutely stunning! If I were a set designer for a fantasy movie I would totally create ginormous slime mold replicas and clump them together to make lush, plump, alien forests. This entry was posted in Nature, Science, Animals, Earth and tagged flickr, myxomycetes, slime mold. Bookmark the permalink.